↑ Anakapalle, Bheemunipatnam municipalities and 10 gram panchayats of Parawada were merged into Greater Visakhapatnam Municipal Corporation in 2012. ↑ 1.0 1.1 "Provisional Population Totals Urban Agglomerations and Cities" (PDF). Census of India 2011. पहुँचतिथी 30 जनवरी 2016. ↑ "City definition by census India". censusindia.gov.in. पहुँचतिथी 26 मई 2014. ↑ 3.00 3.01 3.02 3.03 3.04 3.05 3.06 3.07 3.08 3.09 3.10 "Provisional Population Totals, Census of India 2011; Cities having population 1 lakh and above" (PDF). Office of the Registrar General & Census Commissioner, India. पहुँचतिथी 26 मार्च 2012. ↑ "Maharashtra (India): Districts, Cities, Towns and Outgrowth Wards - Population Statistics in Maps and Charts". ↑ "Chennai Corporation is re-christened Greater Chennai Corporation". Chennai: दि हिंदू. 31 जनवरी 2016. पहुँचतिथी 31 जनवरी 2016. ↑ 7.0 7.1 "Gujarat (India): Districts, Cities, Towns and Outgrowth Wards - Population Statistics in Maps and Charts". ↑ "District Census Handbook - Kolkata" (PDF). Census of India. The Registrar General & Census Commissioner. प. 36. पहुँचतिथी 1 जून 2016. ↑ "District Census Handbook - Pune" (PDF). Census of India. The Registrar General & Census Commissioner. प. 28. पहुँचतिथी 1 जून 2016. ↑ "District Census Handbook - Lucknow" (PDF). Census of India. The Registrar General & Census Commissioner. प. 28. पहुँचतिथी 7 जून 2016. ↑ "Uttar Pradesh (India): Districts, Cities, Towns and Outgrowth Wards - Population Statistics in Maps and Charts". ↑ "District Census Handbook - Nagpur" (PDF). Census of India. The Registrar General & Census Commissioner. प. 28. पहुँचतिथी 7 जून 2016. ↑ "Two municipalities merged in GVMC". Visakhapatnam: Deccan Chronicle. 31 July 2013. पहुँचतिथी 18 फरवरी 2015. ↑ "Municipalities, Municipal Corporations & UDAs" (PDF). Directorate of Town and Country Planning. Government of Andhra Pradesh. ओरिजनल (PDF) से 7 फरवरी 2016 के पुरालेखित. पहुँचतिथी 29 जनवरी 2016. ↑ "Smart City Challenge-Coimbatore". Government of India. पहुँचतिथी 15 December 2015. ↑ "Kota Municipal Corporation". Citypopulation.de. पहुँचतिथी 2016-06-10. ↑ "Sanitary works in 18 Tiruchi wards to be outsourced". दि हिंदू. 28 November 2013. पहुँचतिथी 25 अगस्त 2015. ↑ "Smart City Challenge-Tiruppur". Government of India. पहुँचतिथी 15 December 2015. ↑ "Warangal Municipal Corporation, Budget 2014–15" (PDF). Greater Warangal Municipal Corporation. प. 2. पहुँचतिथी 4 फरवरी 2015. ↑ "Guntur city population is 7,43,354 as per 2011 Census". दि हिंदू. Guntur. 26 मई 2013. पहुँचतिथी 12 अक्टूबर 2014. ↑ "Smart City Challenge-Erode". Government of India. पहुँचतिथी 15 December 2015. ↑ "22 villages may be included in Rajahmundry soon". The New Indian Express. Rajahmundry. 11 फरवरी 2013. पहुँचतिथी 14 अगस्त 2015. ↑ "Rajahmundry Municipal Corporation Enlarged with 21 Gram Panchayats". Tgnns.com. Commissioner and Director of Municipal Administration, Andhra Pradesh. पहुँचतिथी 14 अगस्त 2015. ↑ "City profile". Tirupati Municipal Corporation. पहुँचतिथी 23 December 2015. 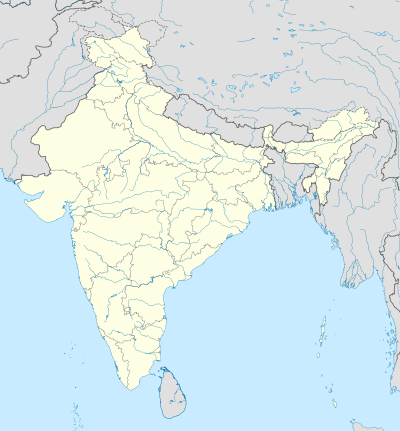 ↑ 28.0 28.1 28.2 28.3 "Cities in India with population more than 100,000". Census2011. पहुँचतिथी 2016-06-10. ↑ "Ramagundam Municipal Corporation". Ramagundam Municipal Corporation. पहुँचतिथी 16 अगस्त 2015. ↑ "Introduction". chittoormunicipalcorporation. पहुँचतिथी 30 जून 2015.